Nature Posts: Last Night Was Salamander Night! 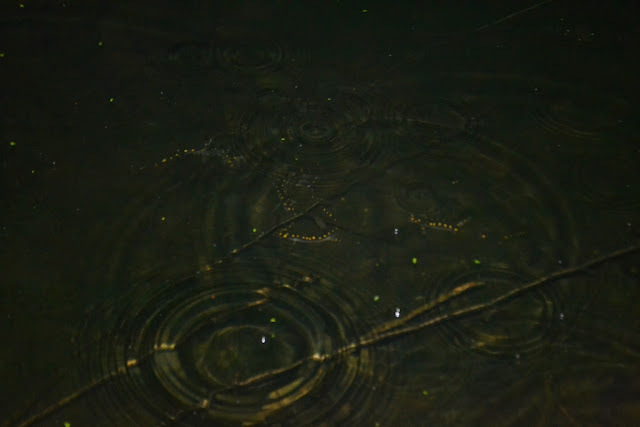 Last night we had our first warm, rainy night of the spring and the salamanders and other amphibians were on the move.... that's why last night was salamander night. Here is a photo of a Yellow-spotted Salamander crossing the road on that dark, rainy night. I'm sure this salamander made a safe crossing of the road because this particular road is a less traveled road and that makes all the difference... on busier roads I saw evidence of unspeakable carnage at locations where many amphibians were daring the traffic to get to the other side... Sadly, I even saw some of these large, yellow-spotted salamanders.... ok, we won't go there. 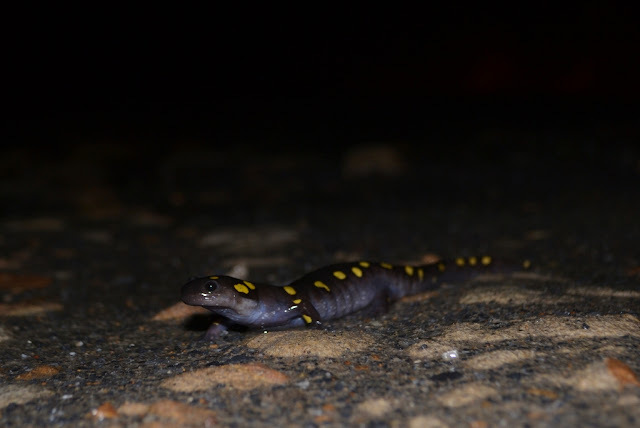 Why were the Yellow-spotted salamanders risking their lives to get across the road? Well, on the other side of the road from their forested mountainside habitats, there were some vernal pools where the salamanders were congregating. These temporary pools of spring rainwater and melted snow are where certain kinds salamanders and frogs lay their eggs. 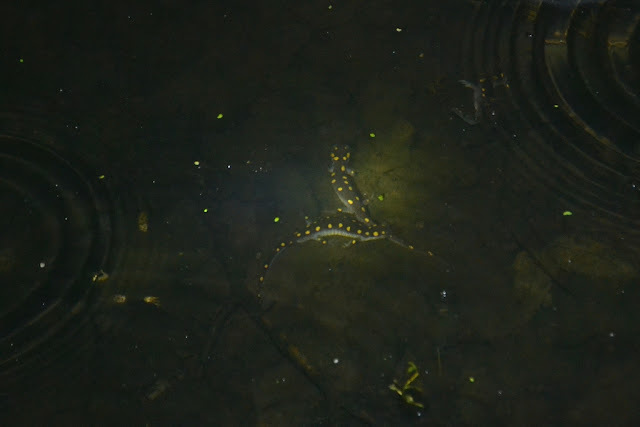 There were oodles of Yellow-spotted salamanders swimming in the vernal pools. I'm glad to see that plenty of salamanders made it safely to the pools. I also saw and heard spring-peepers and wood frogs nearby the pools. Yes, last night was definitely salamander night! See my previous post that explains more about salamander night. Never seen salamander road crossings, but ooooh the awful frog crossing carnage makes me soooo sad.